Last night I had a death dream. It’s only the second one I’ve had in my life. The first, when I was in elementary school, I was running outside and got shot by an arrow, and felt it enter and then some bleeding numbness and a crumple. Pretty simple. But last night, I was in the kitchen, having some nice banter with my son while we cooked something. The phone rang in the other room, and I answered it. “Heather Ma-KEY?” said a man’s voice (older, governmental), mispronouncing it. “Yes,” I said. At that moment, someone came up behind me with a black fabric hood that I could just see through. As it went over my head and I felt it tighten around my neck, all strength left me. I understood “they” were using something against me—poison or a gas or magic. I tried to throw the phone down to make a noise to warn my son. But I was too weak. After initial panic and surprise my thought was “Oh no you don’t, you bastards.” Fade to black. Of course I woke up frightened. I’ve been very stressed out lately—with work exhausting and overwhelming me, plus my book coming out in a week (haha, just a few things to do for THAT), plus the million soccer games and end-of-school stuff. Plus the fact that for years I haven’t really rested or taken time off (whenever I take time off, it’s been to work on my book!). So in some ways I do feel physically vulnerable. The “sudden phone call” IS what I’m afraid of right now. But by other measures this was a good dream for me to have at this moment. I’m doing something—publishing a book—that has taken years of effort, that at many times didn’t seem doable. Possibly I’m afraid that it won’t happen, that at the last second some disaster will strike that could put it still out of reach. That fear is made of psychic crud that’s built up over years of working silently. Wouldn’t facing it—and clearing it out—be a good thing? I’m also afraid of what happens AFTER the book comes out. Change, no matter how badly you want it, can be scary, and not to oversimplify, is death of a kind. What changes would I like to make but am afraid to make right now? (A lot.) And to be honest, I guess I am afraid that this will be my one book and that’s it. But … so what? I’m pretty sure that if Dreamwood tanks or I never write again, I’ll deal. There are a lot worse fates, after all. My death dream reminds me of these roadblocks and anxieties, how they’ve been building up in the wings of my subconscious. And yet it’s also a great thing to go through. 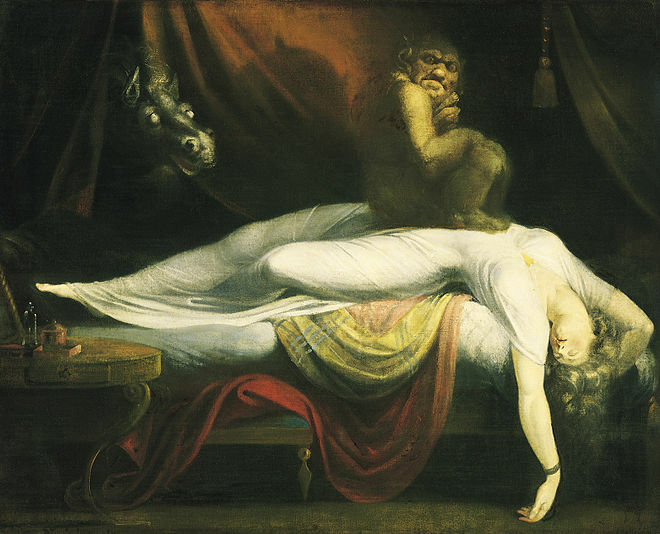 I died in the dream, which means the worst happened. But, according to the Buddhists, you should live as if you’re already dead, because that means you’re free. And I am kind of proud that my “dying” thoughts were defiant and focused on protecting my son. Because I have worried that in doing what it’s taken to get this book published, I’ve neglected my family. The dream reminds me to be their champion no matter what I’m going through. Still, there is one last thing I’m afraid of—and this is probably the real danger in all that’s going on. I’ve felt so under the gun, and had to go so inward to deal, I’m afraid I’m taking myself far too seriously. Thank you, death dream, for all your lessons. But now it’s time to stop, lighten up and laugh. I’m a little behind in wrapping up 2013, but I’m still going to do it! Or at least try to make some notes about what stuck with me, mostly in the cultural realm. In terms of actual life 2013 was an incredible year — all about pushing through and turning corners — but it was very very difficult. I’m so glad it’s behind me. Guys, I did it. 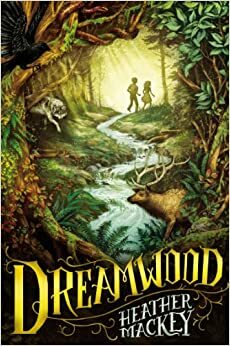 I finally finished up my book, which got a new name (Dreamwood) and went through copy edits, and now I have galleys. Actual honest-to-God ARCs. All I can say to everyone is thank you. Everyone who has expressed any interest or been supportive, it just means the world. You know what? I had the idea for this book about 10 years ago. It was a tiny little nubbin of an idea and I wrote some stuff down on legal pads and noodled. And then I went through a whole saga. Seriously a saga. But who cares about that now? Because it’s done! Honest! It comes out in June. A Bend in the River, by V.S. Naipaul – easily my favorite book read in 2013. Wow. Counting by 7s, by Holly Goldberg Sloan – This book has the most incredible voice. Willow is such an original, wonderful character, and her story had me wishing I could hug her. Intuition, by C.J. Omololu – Ah, this book is fun. It’s a sequel that takes things to a new level, features one of the best love triangles I’ve read, and has you pondering the gift (or is it curse?) of being able to remember your past lives. I devoured it. The Twelve, by Justin Cronin – more crazy vampire stuff on an epic scale by a really good writer. Increasingly you see lit fiction writers trying to write genre and they usually fail, which makes Justin Cronin all the more remarkable. Canada, by Richard Ford – I was strangely taken by this. Perhaps my memory is faulty, but I found myself thinking I preferred it even to The Sportswriter, even though it’s also ruminative to a fault. Pusha T, My Name Is My Name – which was stripped down, minimal like Kanye’s Yeezus only not so overblown and without the lame lyrics (e.g., the infamous sweet and sour sauce line). This album had it all: hard, menacing (“King Push”), confessional storytelling (“Nosetalgia”), even the occasional dream (“Sweet Serenade”). Deafheaven, Sunbather – Ha. Joke on me. Never thought I would listen to this kind of intense black metal but it’s amazing. It’s really hard to call out particular songs – but “Dreamhouse,” “Sunbather,” and “The Pecan Tree” are especially awesome. Happy 2014 to one and all!! !